Welcome to Resurrection School! 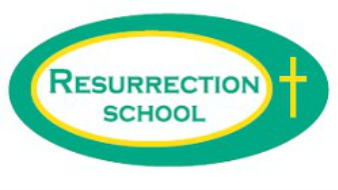 Resurrection is a preschool through eighth grade school with full day kindergarten. The faculty and staff are committed to providing a faith-based environment where all children are encourage to achieve their personal best. We are very proud of the education the students receive at Resurrection School. We are proud of the accolades we receive from the Indiana Department of Education. We are proud of the extracurricular activities such as Sea Perch, Math Bowl, Academic Bowl, and the variety of athletic programs offered to our students. We are also very thankful for the many staff and parent volunteers who help organize and coach these activities. If I could use one word to describe the community at Resurrection Parish and School it would be family. We all work together as a family to help each student thrive in our environment to be the best he/she can be. If you would like to be a part of our family and tour Resurrection School, please contact me at tberendes@evdio.org or (812) 963-6148.